I’ve been doing a lot of work with students and recent grads outside of work. I think it shows a lot in my recent posts :). I’ve been burning the midnight oil putting together a mentoring program for students and new HR pros for the last 6 weeks. It’s really made me think about the needs of these up and coming HR pros — after all, they are they next gen of HR — its kinda like succession planning. Negotiation skills is a question that the students, recent grads, and new HR professionals often ask advice on — actually, its a question that LOTS of people, regardless of career level ask about. I’m not sure that anyone is really good at it, but we all know that we should be doing it. I offer up the idea that it may not be something that you HAVE to do, but you should at least arm yourself with the information to find out what the position is worth . Notice I didn’t say what YOU were worth (seriously, who can put a price tag on that, and honestly, who doesn’t want MORE money?) I do think its okay to consider your experience and skills in the analysis — if they are above and beyond what is on the job positioning, in the “desired skills” or skills that you have that positively correlate to the position. Another IMPORTANT factor to consider is the location of the job, especially if you are relocating. Take a look at sites that take into account the cost of living in the city that you will be working/living in. Do know that even with in the same company the same position may pay different depending on where the person is location to adjust for the COLA (cost of living adjustment). Do a quick Google search for “cost of living calculators” and you’ll find some great ones to choose from. I think that the best ones will let you do a comparison and offer you some basics on tangible things that you can compare, as in literally apples to apples from one city to another. CNN Money has a pretty good calculator. For giggles, maybe look do an analysis of the city that you’re living in to help give you more data points and living in, even if you do not plan to relocate. I found this great article from Forbes.com — it has great tips for EVERYONE. To find out the general range for your position, browse sites like Payscale.com, Glassdoor.com, and Salary.com. Print out the salary descriptions, as you may want to bring them into your meeting. Also reach out to your professional or alumni network. Find someone who has previously worked at the company and can say, for instance, “‘This company doesn’t give raises except in July,’” said Sethi. via New Grads, Here’s How To Negotiate Your Salary – Forbes. Keep in mind – its a negotiation, so don’t just think about negotiating salary. As a new grad, you probably don’t have a whole lot else to consider, but as you get further into your career, you may want to consider looking at education, equity, relocation expenses, sign on bonus, additional training, etc. Its potentially all on the table. It doesn’t hurt to ask, but its still a delicate operation, you don’t want to seem like you’re difficult, greedy, or ‘ungrateful’ — so do your research and negotiate on the right things. In general, I’d say the more experience and senior you, the more negotiating room you have. 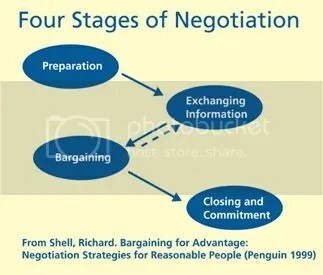 Here is where you can get some more information on negotiation — its a start in some of your research — from Tutorials Point. Today I got a cool demo of Dice’s new Open Web search tool directly from their new president, Shravan Goli (pretty cool!). Right off the bat, the demo was pretty slick. The neat thing is that recruiters can do a quick and easy search of skills of desired skills — and the search tool serves up candidates and aggregate information about them in a easy to read and usable interface. The information that the tool brings back is all public information, but the catch is that its in ONE place – and finding out more about the candidate is just a click or two away. The search results bring back information about work that they have done, locations that they have worked in, key projects – basically a dynamic resume. In summary the tool will deliver deeper profile data, targeted profiles, targeted search, and a single point of access to the web AND it is included in the Dice subscription. It does focus on the US — that Dice’s main user base and their target market and candidates have to sign in and have a Dice account. So if you’re looking for something global keep that in mind (nothing to suggest though that it couldn’t go that direction, although they were pretty clear that today its US focused). The Girl in HR’s IMHO: I got a very quick demo and interview with Goli at #SHRM13, but I think that this is some cool and cutting edge stuff — especially in the tech recruiting space. Its certainly worth a deeper dive, particularly if you are already a dice customer.